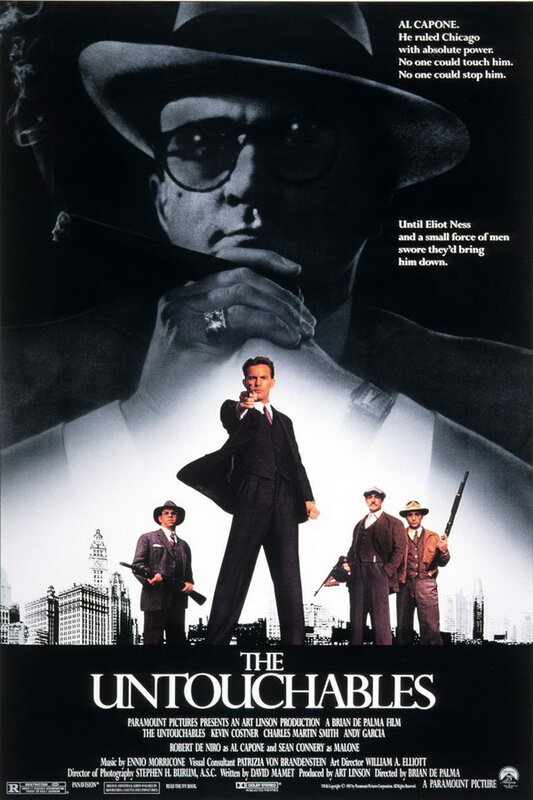 The Untouchables font here refers to the font used in the poster of The Untouchables, which is a 1987 American crime drama movie based on the book of the same name. The movie tells the story of Federal Agent Eliot Ness, who assembles a team to bring Capone to justice during the Prohibition era. The font used in the movie title in the poster is very similar to Perpetua Bold designed by Eric Gill. The font is a commercial one and you can view more details and purchase it here. The Perpetua font identified above is not available for free, please follow the link above and purchase the font. Meanwhile, you can take a look at our collection of fonts for cars, pop music and apparel as well as round-ups of new & fresh fonts around the web. In addition to The Untouchables, Perpetua typeface is also used in the following logos, movie posters or album covers etc., including: Robin Hood: Prince of Thieves, Continental Airlines, Bacardi, Beautiful Disaster, The Bucket List.